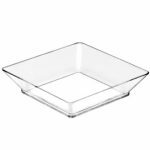 La Bouchee disposable Mini tray 2.55″ x 2.55” clear will be perfect to highlight your mini dish creation that will tantalize your guest at your next events or wedding. 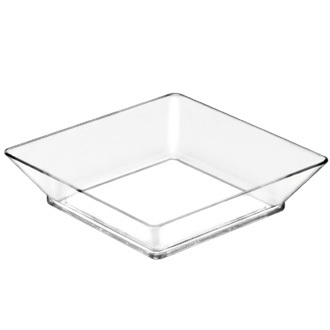 This fashion clear tasting plate will upgrade your Bite size treats. 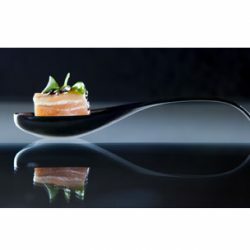 Featuring raised edge frames, these mini appetizer plates ensure easy and mess-free serving at your restaurants, buffets, and catering events. 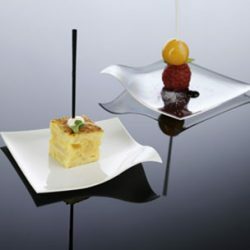 La Bouchee plastic dessert plates add a touch of luxury to your miniature delights. 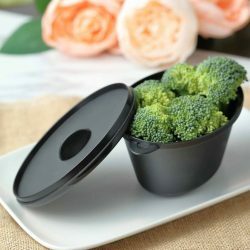 Use these smallware plastic disposable plates to beautifully display your sweet or salty culinary creation and tantalize your guest. 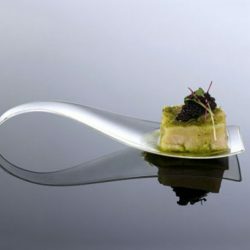 La Bouchee disposable clear mini dishes are measuring 2.55 inches by 2.55 inches and containing up to 1 ounce, each plate is shipped in a case of 750 pieces.